Storm Geoswath is a compact survey vessel which is ready to launch with its fixed interferometric sonar equipment pre-calibrated. It is often launched down vegetated banks using Storm’s in-house designed ramp and winch system, making more rivers accessible and reducing mobilisation fees to zero as there is no need for expensive crane launches. 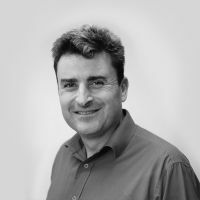 The draft of the vessel is only 0.32m with an air draft of 1.60m thus allowing multibeam surveys in smaller, shallower watercourses with low bridges. 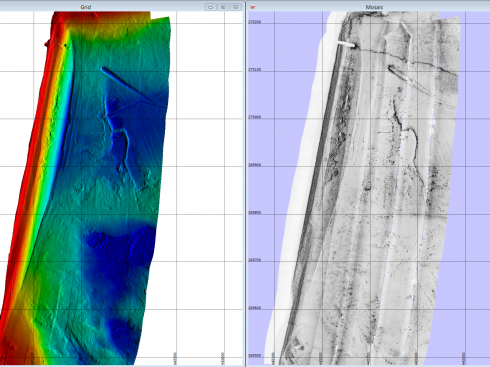 Data from Storm Geoswath is captured in point clouds above and below the waterline allowing visibility of the entire watercourse using a high density of georeferenced point data. 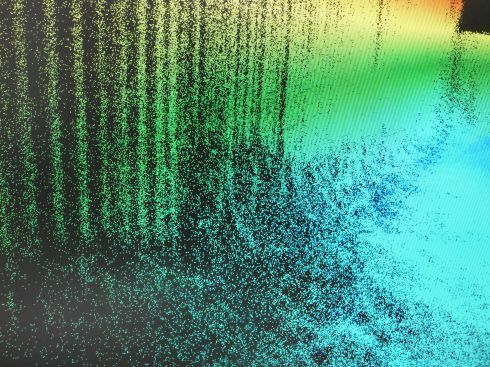 Underwater structures are surveyed using the 240 degree beam width of the sensor and presented in 3D point cloud format allowing the user to inspect assets for damage and wear. 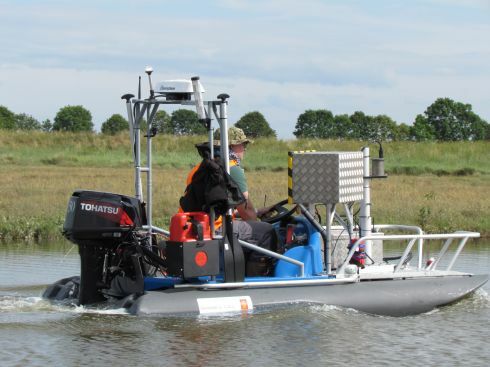 Storm GeoSwath is a truly innovative survey vessel using technology commonly used in deeper water offshore and nearshore to capture topography and detail in river beds. Surprisingly this method of survey is often better value than traditional river channel surveys and it is always worth enquiring with one of our expert team about the possibilities of using it and saving survey costs.